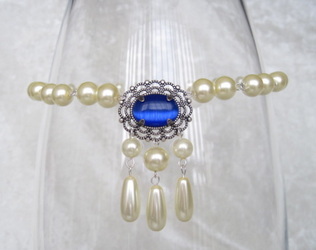 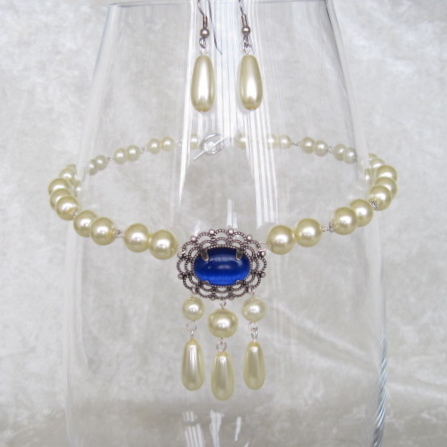 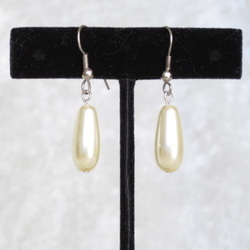 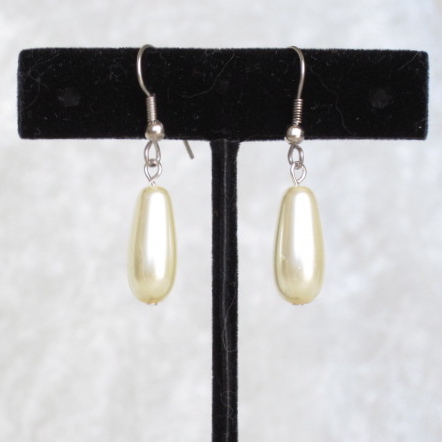 Understated and elegant choker and earrings of ivory tone glass pearls supporting a center filigree medallion. 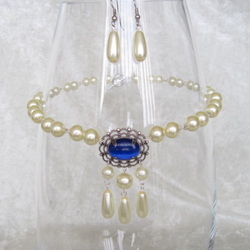 A glowing, deep blue, cat's eye glass cabochon adorns the medallion, while three pendants dangle below. 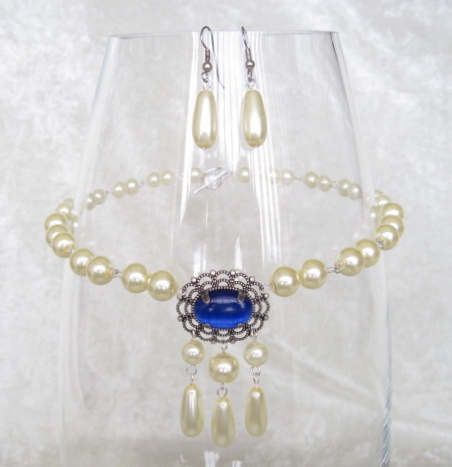 You'll be beyond stylish anywhere you go! The choker fastens with a toggle and measures 16"; the earrings dangle one inch below the surgical steel ear wires.